Links had been in long for, but people don’t really pay much attention because all they needed was traffic and backlinks. 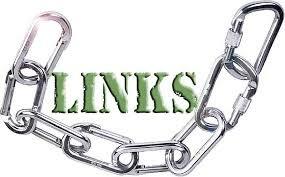 It has been confirmed now that links make your blog stronger than what you know of search engine and the web. Links can be internal or external; both are very good at SEO and back linking that is the more reason why bloggers of these days are so obsessed with getting links. Some even went ahead buying, why others could get theirs naturally by following the SEO prescribed rules. A blogger friend once shared his own story concerning the issue of getting links in a crooked way. He said at first it was perfect and was getting traffic from targeted ends, but when algorithm updates caught with him, he had his page rank dropped from 6 to 3. Learning from this story above, I believe we wouldn’t want to learn in a hard way like the young man and which is why we need to sit tight and let’s get started. 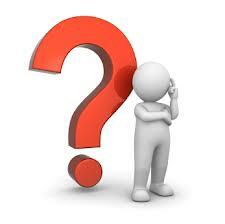 The question now is how do you start driving links to your blog and in what way can it be done. In getting the right links, most internet geek and bloggers have chosen to always go for email requests which are like most common among them. There hasn’t been any good effect from this as most of them get irrelevant links from other websites. And just imagine when you own a food blog and most of the links that come to your site are from sport and Info Tech blog, you can see it’s annoying. And definitely the webmaster wouldn’t bother to check your site’s niche and it would just add those links to your already made links which eventually won’t add any advantage. 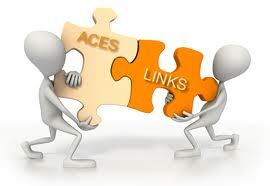 That is the more reason why you need the right links from right blogs with similar niche to yours. This is a question that should sound so deep in many bloggers, because in other for you to get a quality links back to your blog, you need something different and which has to do with your blog articles. The more you write good article and people comment, the more the good and relevant links. Most bloggers don’t like to give their juicy links out just anyhow, but if you prove so worth with what you offered by your article, a reasonable blog owner won’t hesitate to link back to your site because he knows his/her readers will definitely benefit from your site too; and therefore it is so paramount for them to look out for a good articles from wonderful blogs before giving out links. A fellow blogger once said that life on web is just exactly as life in real world .you need to make friends and build relationship with other bloggers better than you before you can gain from them. I remember sometimes when I had little issues with my first blog, I met a man named Joseph Efoghor. The first thing he told me was to build good relationship with those ahead of me, likewise am telling you now because this is the only way to build your reputation. Do you think you can just approach a pro blogger requesting for link exchanges when you never had a personal encounters with the fellow. We all know it’s very annoying doing that, therefore if you’ve never start having good rapport with bloggers ahead of you, then you need to start today. Getting links is not by mouth or idleness; you need to take a bold step. Creating a post to get links is as simple as what you can imagine. You don’t necessarily need to be too hard in your actions requesting for link from other blogs, you can always make your link known by writing wonderful articles and putting your links in you posts. Definitely other readers will believe you want to share a bit of your good contents and eventually when they see that your posts are very good for their own visitors, you’ll automatically get your natural links because the referring party possibly gave their readers. Therefore, it is also necessary to have links on your post which are related to the recent article you just posted (interlinking of your posts). It’s no secret again; bloggers want something in exchange for the links they are giving you. Earlier this week, a reader commented on one of my posts and he suggested I should have a do follow comment box. The question that came to my mind was, what is really special about this do follow comment box, but when I did my research then I knew it’s worth it. Because with the do follow comment box, links can easily be shared, as they also want links back from your blog if they give you theirs. So it’s trade by barter. WHO IS A PRO BLOGGER?